It’s no secret that the China ecommerce space is leading the world. Aside from having 730 million internet users, the country’s mobile payment market is also standing strong. If you want to be part of the China e-commerce space, it’s important for you to keep up with the new trends. This will help you shape your marketing efforts better and give you a competitive edge. In this week’s Five Tips Tuesday, we’ll help you stay on top of the trends of China’s online shopping. Check out the top e-commerce trends for 2018. Learn more about the Chinese festivals that can localize your marketing strategies. Discover the Chinese social media apps that can help your business flourish. Hear some tips from one of the biggest names in Chinese e-commerce. And last but not the least, get the book that will help you understand and explore China’s unique e-commerce scene. The business and marketing landscape is ever changing. Trends come and go, and technology continues to advance at the speed of light. 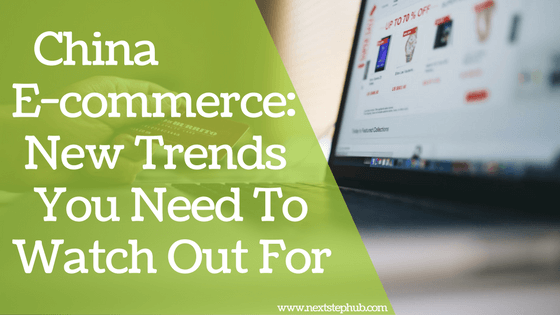 If you plan on breaking into the online Chinese market, having enough knowledge on the latest e-commerce trends will help your business stay relevant. Having an overview of the e-commerce trends in China can help you capitalize on the different strengths of this particular demographic, and use it in growing your own business. Celebrations and holidays have huge impacts on the e-commerce scene, especially in China. Familiarizing yourself with the key Chinese holidays and festivals will help you localize your marketing tactics. It will also help you create special offers that will fit the needs of your online shoppers. Check out the top e-commerce Chinese festivals to watch in 2018. In China, WeChat and Weibo are the biggest social media applications. Many brands are leveraging these apps to reach their audience and generate new leads. While WeChat and Weibo marketing can help your brand, these platforms are getting more crowded each day. Because of this, it can be challenging to stand out. The good news is, there are other Chinese social media apps that can help you connect with a more niche audience. Building an e-commerce business requires hard work. Apart from enhancing your products and services, you need to keep your consumers in mind. Also, you have to face and solve the challenges that come your way. Jack Ma, the founder of Alibaba, is among the entrepreneurs who successfully dominated the e-commerce ecosystem. Check out this video and let Jack Ma’s valuable insights inspire you. To successfully penetrate the Chinese market, you must first understand how it operates and where it is heading. Marco Gervasi’s “East-Commerce: China E-Commerce and the Internet of Things” will give you a glimpse into China’s unique world of online shopping. Packed with valuable interviews with influential companies and investors, this book provides insightful analysis that will help you seize the right opportunities in China. Do you have other tips that can help businesses thrive in China ecommerce ecosystem? Let us know in the comments!